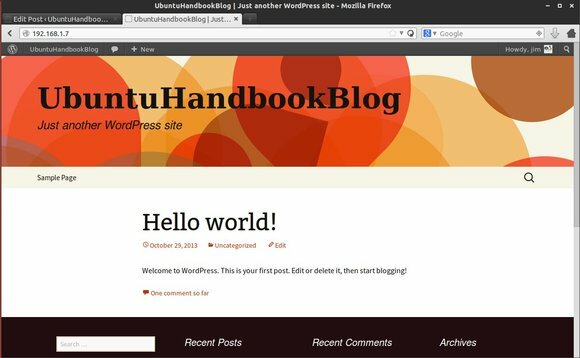 If you’ve already installed LAMP (Linux, Apache, MySQL, PHP) or LNMP in Ubuntu Server, now it’s time to install wordpress on Ubuntu and get your site running! WordPress is a popular blogging tool and a content management system (CMS) based on PHP and MySQL. It’s free and open-source. In the steps below the lines that the user needs to enter or customize will be in red in this tutorial! If you’re using LAMP, install PhpMyAdmin to get a graphical way setting your MySQL Database. 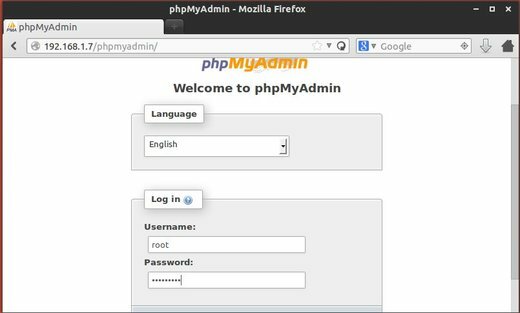 Now, go to http://UBUNTUSERVERIP/phpmyadmin/ in your client’s browser and type in root and the password you set when MySQL was installed to login. Step 1 – Click on Users then click Add User. Step 2 – Type in your desired User name (wordpress is a good one) and ensure Use text field is selected. Ensure Host is set to Local from the drop down list and the text box will change to localhost and enter a Password and then confirm it in the Re-type box. Ensure the Password Use text field is also selected. 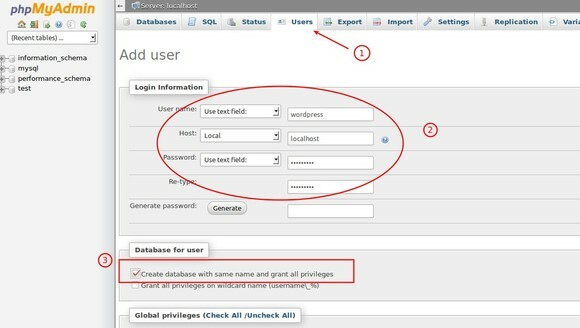 Step 3 – Click on Create database with same name and grant all priviliges. Step 4 – Click on Go. 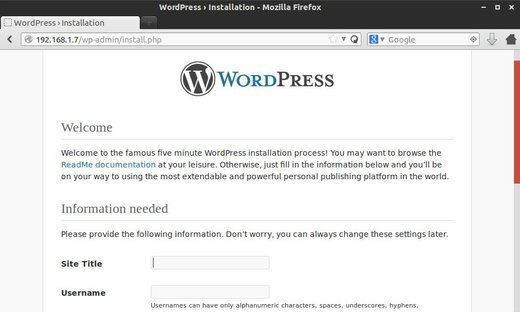 If you’re using LNMP (Linux, Nginx, MySQL, PHP), follow the steps below to create user & database (both are wordpress in commands below). Press i to start editing, and Esc to end editing. Finally press Shift+: followed by wq and Enter to save and exit the file. You will see a line of index files (index.html, index.php, index.cgi, etc) under the DirectoryIndex setting. Add index.php as the first item in the list. Concise – perfect. Thank you. I am sorry, but i cannot change the dir.conf content and as a result wordpress does not work properly. I have no edit permissions on this file. Any ideas?